We’re looking for those who believe being a Sales Consultant is a true craft – one built on charisma, communication and thorough product knowledge (which we’ll happily train the right individual). Drug screening and criminal / driving record requirements must be met for consideration. 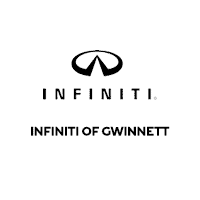 INFINITI of Gwinnett is accepting applications for an experienced Service Advisor to join our team. We are looking for an individual with excellent customer skills and a can-do attitude. Honesty and integrity is a must as well as the ability to help our customers prioritize needed maintenance or repairs.